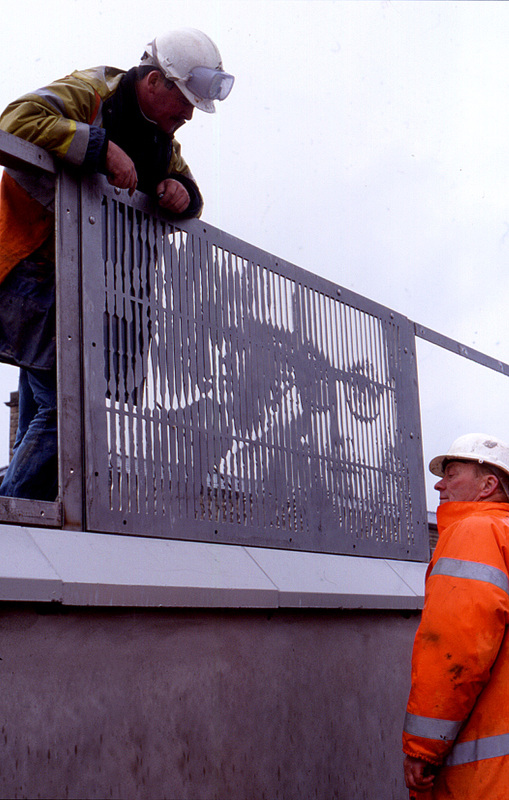 This project was part of the 5.6 million pound redevelopment of Blackburn Railway Station. 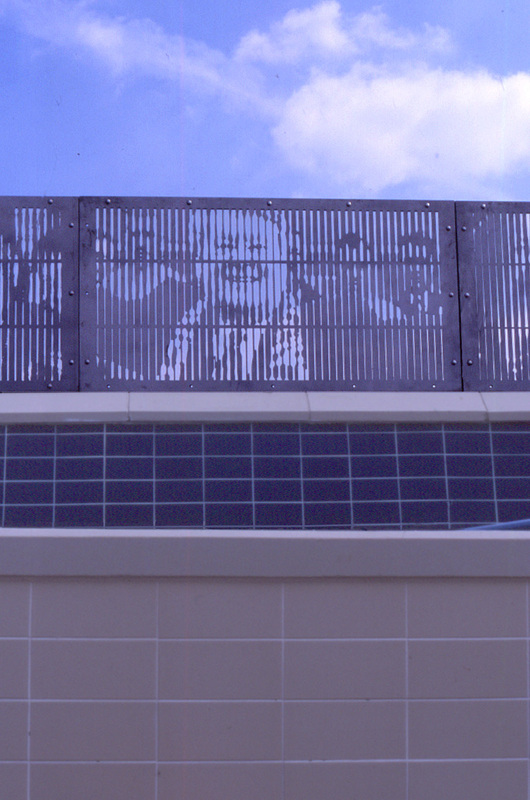 Scartworks was selected by the architects, Austin Smith Lord of Warrington, for the client, Railtrack Plc. Working closely with the consultant engineers, Oscar Faber Ltd. and the main site contractor Norwest Holst Plc., Stephens scheme consisted of 12 stainless steel panels mounted upon a tile clad retaining wall. The project which had a budget of £40,000, took twelve months to complete. 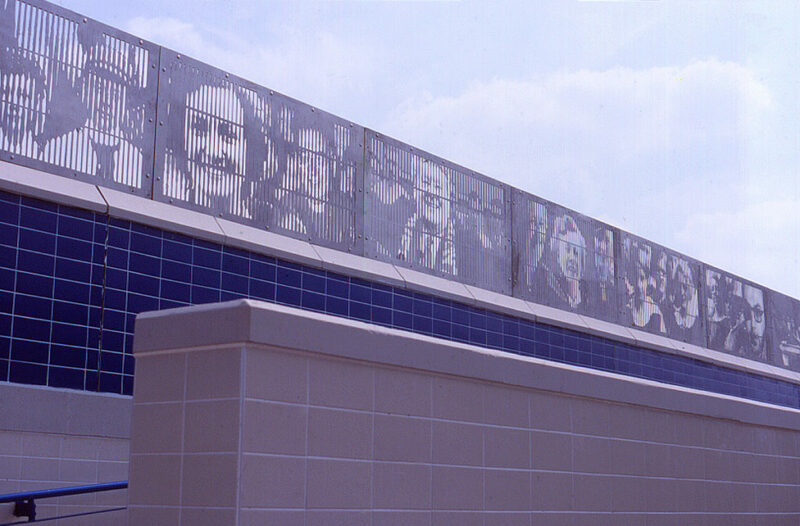 The artwork was laser cut into the panels and depicts the faces of people who are associated with Blackburn. 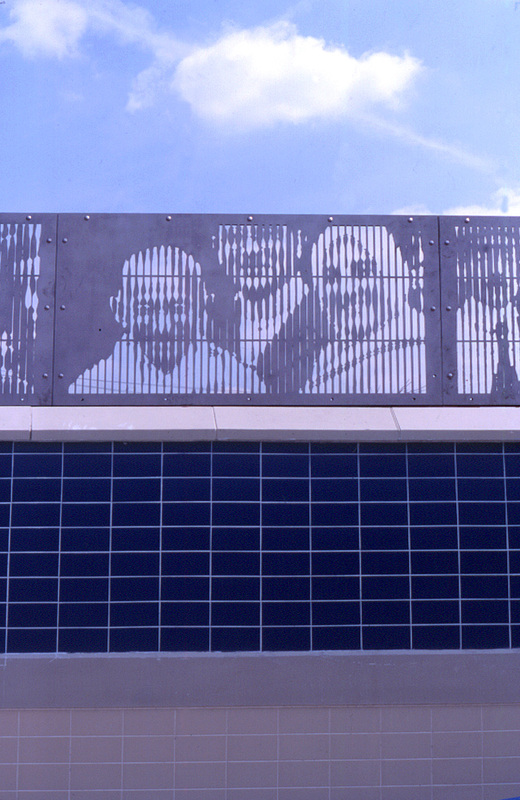 These include: Jack Walker, Carl Foggarty, Barbara Castle, Wayne Hemmingway and Ghandi, who famously visited the district in the 1930s. Also included within the montage are historic pictures of mill workers and other local people to reflect the industrial past of the town.